trade.io is a virtual trading platform that is wholly owned by trade.io Technologies Limited and registered in 05/F, Eaton Club, Champion Tower, 3 Garden Road, Central, Hong Kong. You have reached this page because you are exploring the possibility of early bird participation in pre-vetted, upcoming, and potentially high-value blockchain and ICO tokens. Further to the success of the trade.io ICO earlier this year, other upcoming ICOs have flocked to the board and the management team in order to seek their expertise on how to achieve success. We suggest that you bookmark this page and revisit it to find out which new token and airdrop offers are now available to you. Each upcoming ICO and blockchain project are strictly vetted by our trade.io team, only listing the tokens we take on as consulting clients and view as being the next industry leaders. Our participants can be confident in the project's viability and potential. Our expert team closely reviews the ICO white paper for technical and legal specifications, as well as token economics. Our consulting team spends time liaising with the ICO management to verify longevity and viability of the project. Our team reviews the management and advisory teams of each project for authenticity and ethical standpoint. We only accept the projects that we believe will add core value to the ICO and blockchain industries. For individuals looking to participate with between $25,000 and $100,000. Benefit from trade.io's strict and trusted vetting process that heavily audits each project for viability, longevity, team expertise and potential for generating a return. For high-net worth individuals and family funds looking to participate with between $100,000 and $500,000. In addition to the invidual-particpant benefits listed above, angels also receive the following advantages. Angel investors can secure additional bonuses and preferential pricing than are available to standard participants. High-value airdrops are also frequently reserved for trade.io angels. Gain in-depth insight into our listed ICOs that goes above and beyond our standard ICO profile. Intelligence on industry, competitors, balance sheet, community size and details of fund-raising all help you make smarter portfolio-management decisions. Receive notifications for upcoming ICOs that aren't listed and often are not yet public. Get in early to secure the best pre-ICO prices available anywhere. Contact trade.io at any time to discuss current and upcoming listings and what participation options might best suit your requirements as an angel investor. Institutional participants receive all the benefits of angel program participation. In addition, institutional participants also receive these high-value advantages. Institutions receive a dedicated account executive and special attention from senior management to ensure your business requirements are being met. For those interested, we'll help match you with the right ICO in the right industry in order to create lasting business partnerships that go beyond the investor / company relationship. Enterprise-level discounts on all ICOs exclusive to trade.io, not available anywhere else and unmatched by any other fund. Coin and equity joint purchase options for a limited number of projects and ICOs at highly discounted rates. The Angel Investor program has so far received collectively up to 300 million USD in funding for potential participation in ICOs and blockchain projects. and Blockway Capital chosen us? who can benefit from our KYC and AML vetting processes as well as thorough reviews of ICO project viability, board, management team, advisors, and a comprehensive analysis. can obtain high potential ICO tokens at preferential prices as well as access to airdrop campaigns. preparing to crowdfund for their blockchain project and who will gain access to the institutional funds required to jump start a qualified project, thereby increasing the potential to reach that project’s hard cap. who will be beneficiaries of the upcoming trade.io Liquidity Pool and who will have exclusive access to special offers. Purchasing ICO tokens via the TIO will also increase the utility and demand for the trade.io token. According to hackernoon, the average ROI on 232 ICOs in 2017 was X 13.2! We have over 25 years of investment banking experience and apply the same strict standards as investment banks in our program. DarcMatter is an award winning global fintech investment platform that provides transparent and direct access into alternative investments. Its platform connects those actively raising capital, with Investors worldwide. This includes assisting with seamless online investment into Hedge Funds, Private Equity, and Venture Capital funds. 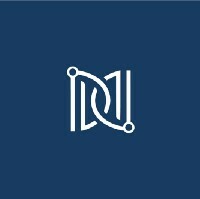 Headquartered in New York City, DarcMatter also has offices in Shanghai, Hong Kong, and Seoul, South Korea, where the regional teams work with local investors to provide direct access to cross border investment opportunities via the platform.  TV-TWO, is the Blockchain-based Future of Television. TV-TWO eliminates the gatekeeper status of TV networks and prevents tech giants like Google and Facebook from owning the medium in the future. The Open Platform surrounding our utility token enables direct interaction between users, advertisers, and content providers. As TV still is the biggest advertising market ($180bn volume) and favorite pastime, we have an immediate use case for 700M Smart TVs waiting for innovation. "trade.io has the marketing expertise & industry relations to strengthen TV-TWO’s winning position." CloseCross is the first fully decentralized derivatives platform, opening and expanding the massive derivative market to the public. It offers easy access to a peer-to-peer derivative trading platform with no need for deep financial knowledge. Hellofriend is a social networking platform built on a blockchain framework that is focused on reducing economic burden of hosting daily social activities. It seeks to address the weaknesses in the current social networking model and offers an incentive system for people to connect in real life. 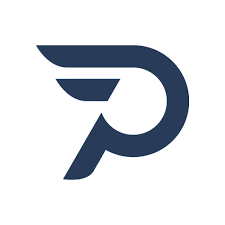 PECUNIO is a decentralized investment platform that solves the problem of crypto spending and allows in-vestment in blockchain assets in a safe and easy way. The platform’s products and services cover the whole lifecycle of blockchain innovation. Investors benefit from a sound business model, which generates fees from angel & venture capital (AC&VC) investments, initial coin offerings (ICO) and high-end cryptocurrency funds. It is the one-stop shop for the average non-tech-savvy user, high equity investor as well as angel and venture capitalists. Will is the Director of Consulting and Strategy, based in Hong Kong, where he heads our ICO consulting services, and marketing and growth strategy in China. Will has a deep understanding of end-to-end processes having helped to bring in, launch and organically grow local and international brands offline and online on social media and e-commerce accounts for both startups and Fortune 500 B2C and B2B companies in APAC. John Patrick Mullin is the trade.io Managing Director of Research and Business Development, based in the Hong Kong office. Prior to this, he was a senior FinTech research analyst at Guotai Junan Securities. John is an active member of the Shanghai FinTech community, and wider Asia Pacific region, where he serves as Regional Director of APAC for the FinTech Connector. 20+ years of international business experience with a deep private equity and investment banking background. Has served as CEO, COO, CFO and have been on the Board of several public companies. Series 7, 24, 63, 79 and 99 securities licenses.